Continence is something that is learnt and retained during childhood. However, staying continent is harder than simply a rehearsed skill in people with Dementia. 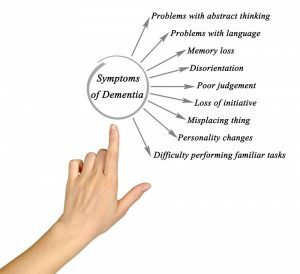 Dementia is a persistent disorder of the mental process marked by memory disorders, personality changes and impaired reasoning. It is estimated that there are a whopping 850,000 people with Dementia in the UK, with numbers set to rise to over a million by 2025. Most people with Dementia experience incontinence symptoms when the illness has progressed to the latest stage. The condition is often the factor that carers and family members struggle with the most. It often plays an important role in most decisions to institutionalize Dementia patients. As stated in the Journal of Clinical Nursing, care and support is often “inadequate or inappropriate, and guidelines are lacking”. In order to respect the human rights and dignity of those with Dementia, it is vital to understand how to provide appropriate care to these individuals. 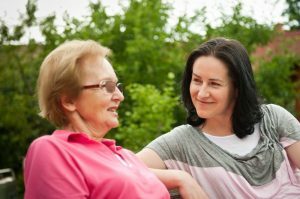 Are you taking care of someone with Dementia and incontinence? Post a new forum thread to provide guidance or receive expert advice. Nerves in the brain carry messages from the bladder to the brain to let it know when the bladder is full. They also carry messages from the brain to the bladder, signalling muscles to tighten or release. In people with Dementia, damage to nerve pathways in the brain can also cause incontinence. 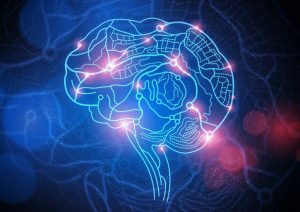 Physical changes to brain cells caused by disease or accident disrupt the flow of electrical charges to and from the affected neurons. Without the necessary signals to the bladder, it can be difficult for someone with Dementia to even register that they need to visit the toilet. They may not even realise their bladder is full, which can cause embarrassing leaks in inappropriate situations. In a study in 2011, thirty-two carers were interviewed. They described a range of problems from supporting the person to remain independent in toileting, through to dealing with inappropriate behaviours, to containing and managing incontinence. Carers explained that they used problem-solving strategies, however, sometimes these were not accepted or understood by the person with Dementia. Problems with communication are common in people Dementia. They will often have trouble expressing themselves and understanding how other people are expressing themselves. They may have trouble finding the right word for “toilet”, or they may repeat the wrong words and phrases. The term “aphasia” is used to describe this difficulty or loss of the ability to understand spoken or written language. This is the result of damage to the corresponding nervous centre (the area of the brain responsible for communication. As Dementia can have severe effects on memory, people with Dementia may not remember they need to use the toilet until it is too late and an accident occurs. Severe loss of memory can occur in later stages of incontinence. Particularly in the later stages of Dementia, seniors may even forget what they went into a bathroom for. It is common to forget what a toilet is used for and where the bathroom is. In the very severe stage of Dementia, they may have lost awareness of surroundings. 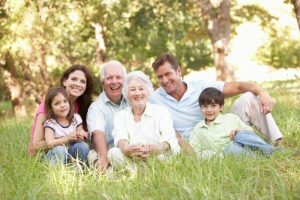 As stated by the Alzheimer’s Society, “they may no longer be able to find their way around familiar surroundings or identify everyday objects. However, they may occasionally experience sudden flashes of recognition”. Risk of incontinence is greatly increased for those reliant on others to assist them with toileting. In the later stages of Dementia, individuals may gradually lose their ability to walk, stand or get themselves up from a toilet seat. They also become more likely to fall. This can also be caused by Dementia, medication and other conditions. Reduced mobility can cause an inability to reach a toilet in time. They may also be unable to reach the toilet but are unable to adjust clothing in time due to other health problems. June Andrews, director of Dementia’s Services Development in Stirling asserts, “both the patient and the home environment need to be assessed when managing incontinence.” It is vital to ensure someone with Dementia has clear access to a toilet and is certain of where the toilet is. You should aim to reduce the barriers that people with Dementia face in maintaining continence. Toilet aids and small changes in the home can make someone feel much more relaxed and confident. Wall rail aids improve the safety of going to the toilet and prevent the incontinent person from falling. This addition can provide a person with Dementia with more assurance if they are worried about having an accident. For safety, nurses recommend removing any locks on doors which are not easy to use or are likely to cause problems. People with Dementia can often get confused and find it hard to remember where the toilet is. Bright contrasting coloured toilet seats can remind people with cognitive loss of the purpose of the toilet and bathroom. Brightly coloured toilet aid frames are also useful in providing safety, support and familiarity. Choosing a prominent colour such as white, blue or red for a toilet frame is recommended. Putting a sign on the toilet door which includes a clear symbol and the name of the room can also be helpful in providing clear guidance. For additional tips on this, you can read our blog on providing toilet aids for seniors. If a person with Dementia is mobile and in good health, you can encourage small walks and ensure they are not sitting down 24/7. Doing gentle exercise every day can also help with regular bowel movements. It has also been proven that maintaining a healthy weight can reduce the symptoms of incontinence. It is estimated that each 5 unit increase in body mass index is associated with an incontinence prevalence risk of up to 50%. Outlining a pattern of how often the incontinent person uses the bathroom can be extremely useful in reducing the number of accidents that will occur. It can be beneficial for the individual with incontinence to keep their own bladder diary to establish common risk factors for leaks. Knowing where the nearest toilet is when you are going out and making sure you pack extra pads or incontinence supplies with you when you are leaving the house for the day. You should also pay attention to clothing. Many carers find that tracksuit tops and trousers can be useful as they are practical, easy to change and quick to wash and dry. However, consider what the individual feels comfortable wearing. Some seniors may not feel comfortable in very casual clothes as they may feel it takes away their dignity. Compromising by proposing they wear something that is easy to change, however, consider their individual style and preference. You should also ensure they are wearing the right protective product. People with Dementia can often become confused and irritated if they are wearing a product that is too bulky. If they are uncomfortable in an all in one, you may want to try a highly absorbent pull up pant product or incontinent product. You can read expert advice on choosing an incontinence product here. Consider both comfort and absorbency when choosing an incontinence product. To prevent bedding becoming damaged, you can invest in mattress, pillow and bed sheet protectors. Individuals are often uncomfortable with drastic change, therefore making toileting part of a routine is vital. Build going to the toilet into the person’s daily routine. For example, if they often have accidents after lunch, get them used to toilet visits straight after lunch. However, you should never rush people or make them feel exposed. Allow enough time for the person to empty their bowels and bladder. Looking after someone with Dementia and incontinence can be a round-the-clock job. You can ring the National Continence Helpline on 0800 650 659 if you are struggling to take care of someone with Dementia.